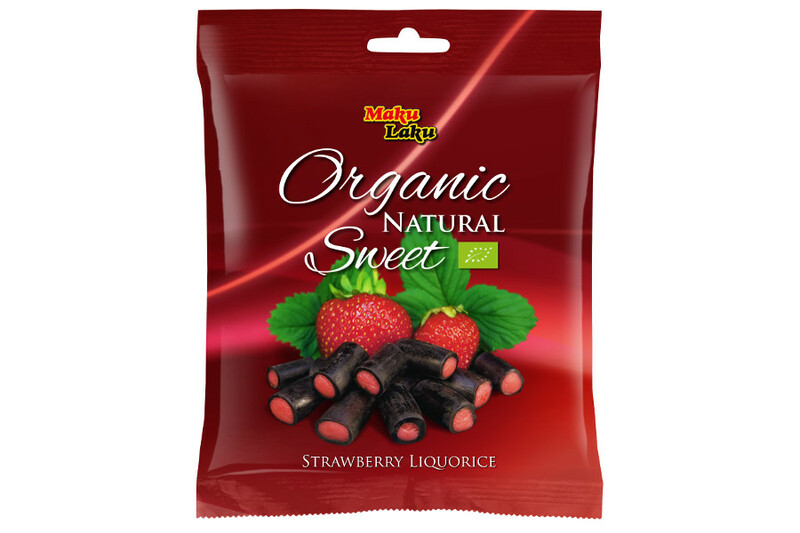 Delicious organic sweet licorice with flavors of strawberry. Maku Laku’s Licorice have a very high quality, a perfect consistency and is free from gelatine and lactose. Icing Sugar*, molasses*, WHEAT flour*, sugar beet syrup*, maltose syrup*, coconut fat*, potato flour*, licorice extract*, beetroot concentrate*, salt, thickening agent (alginate, xanthan gum, carob powder), aroma (strawberry*), acidity regulator (citric acid), surface treatment (sunflower oil*, carnauba wax).